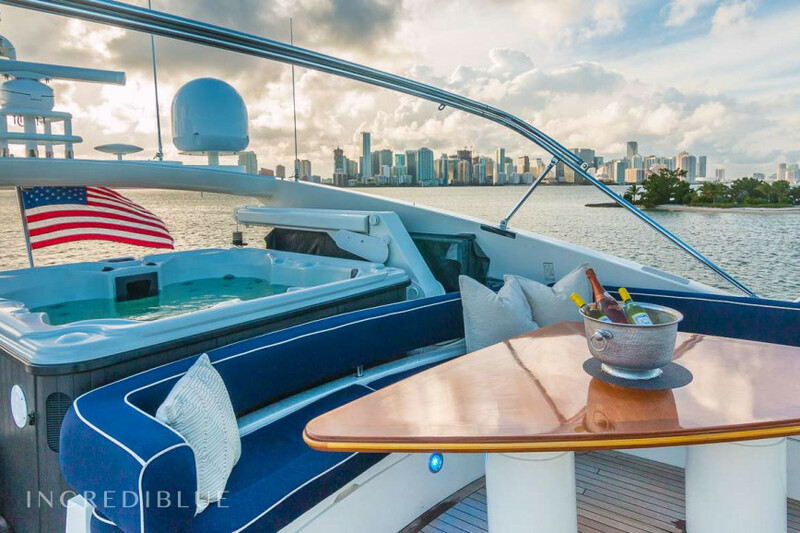 This yacht embodies fun on the water. 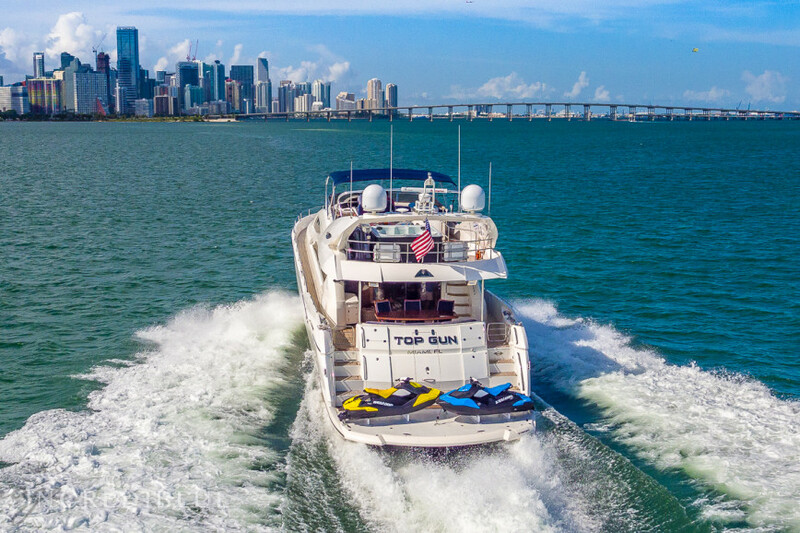 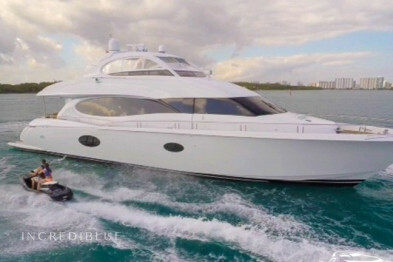 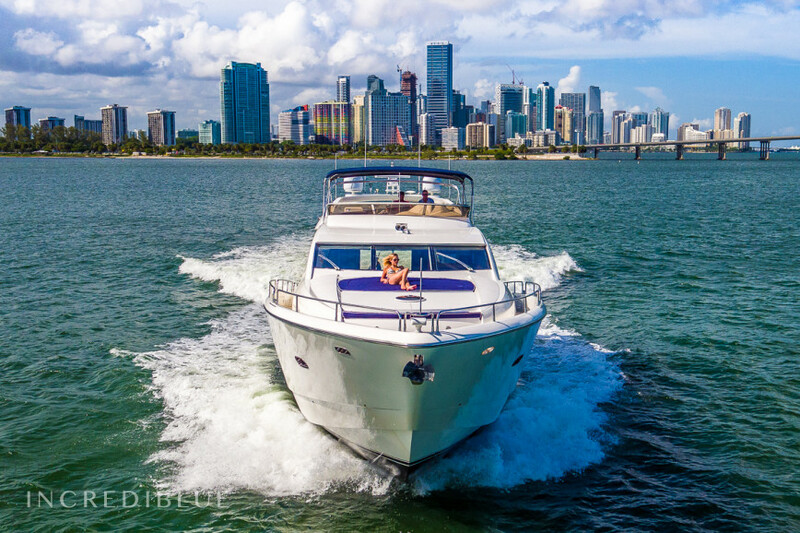 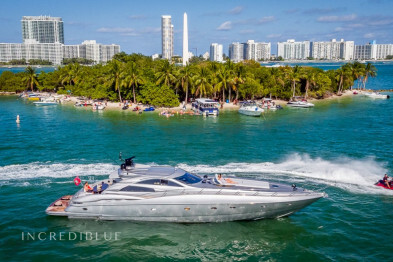 With a 6-person Jacuzzi and two SeaDoo Spark jet skis at the ready, this 82-foot Sunseeker Manhattan is equipped to deliver an exhilarating charter for you and your guests. 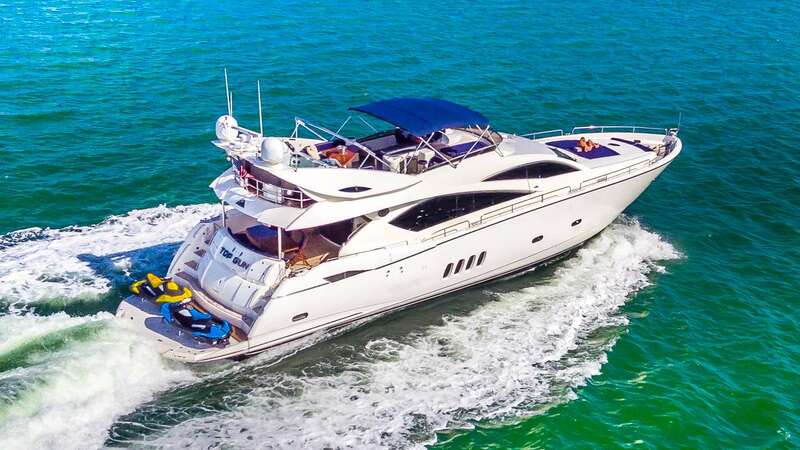 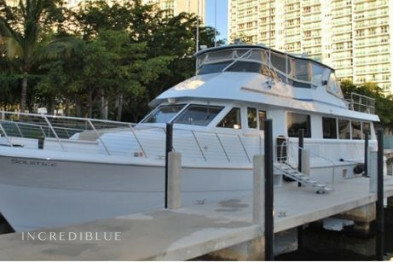 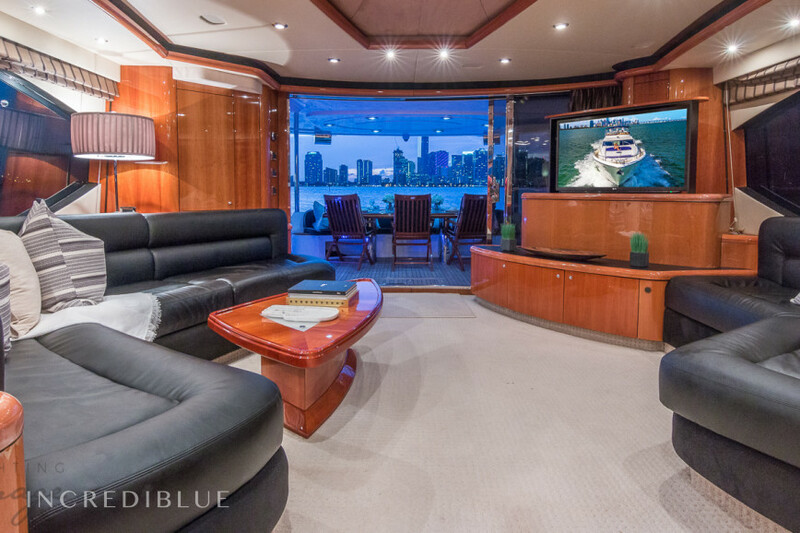 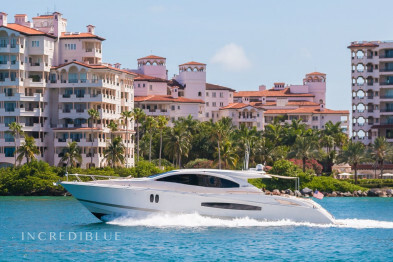 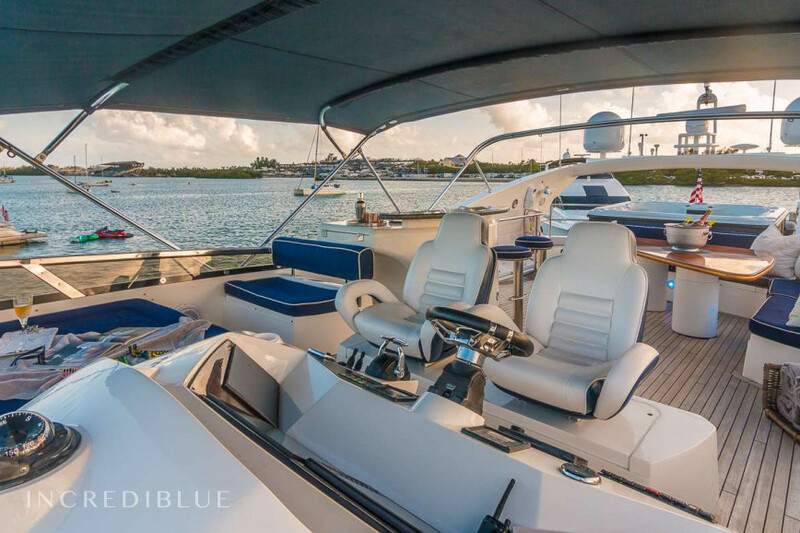 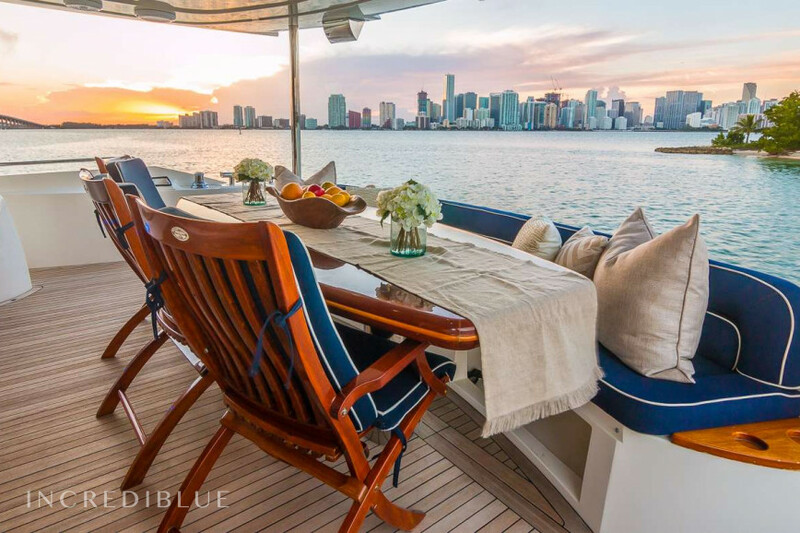 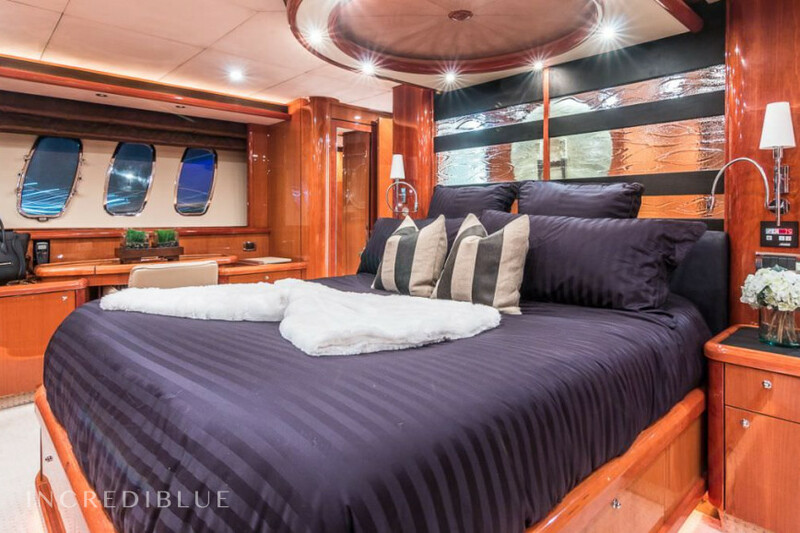 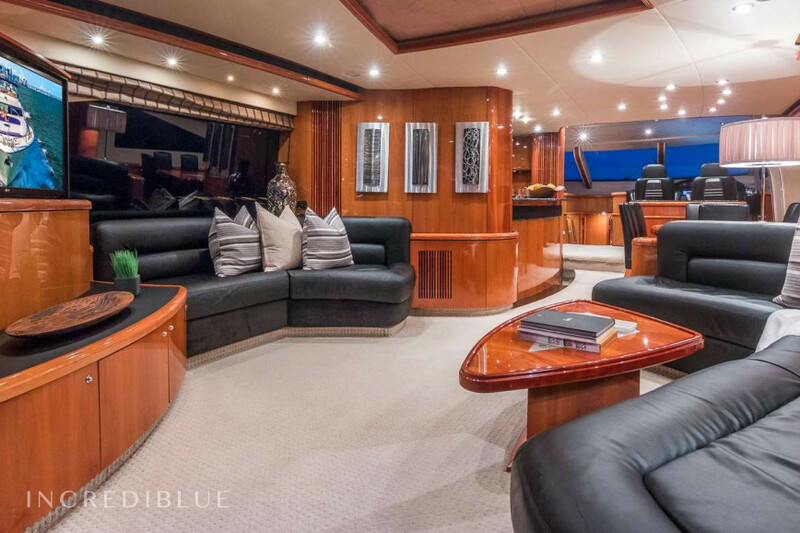 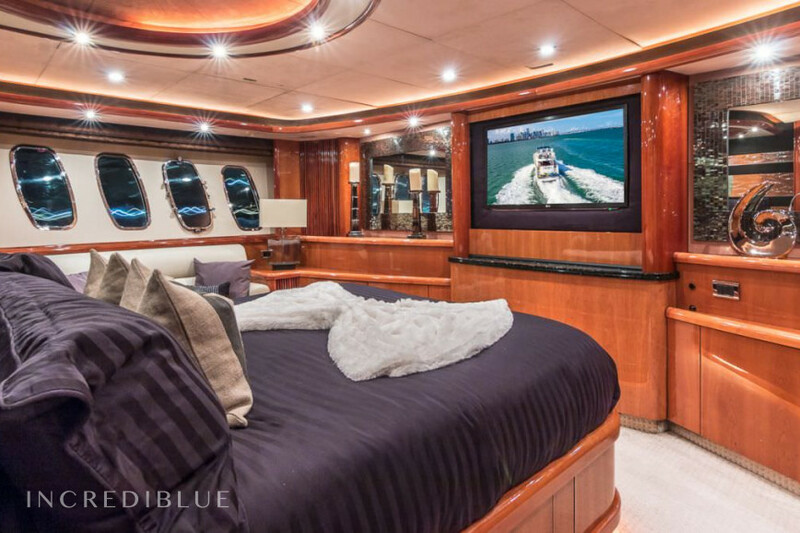 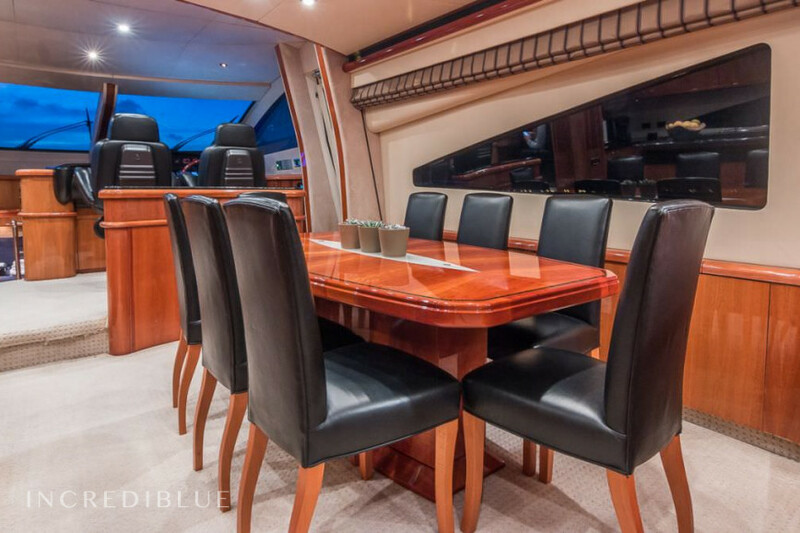 Her sophisticated interior was updated in 2015 and offers a spacious main salon, dining area and galley, with four staterooms below deck and expansive exterior deck areas for sunning and lounging. 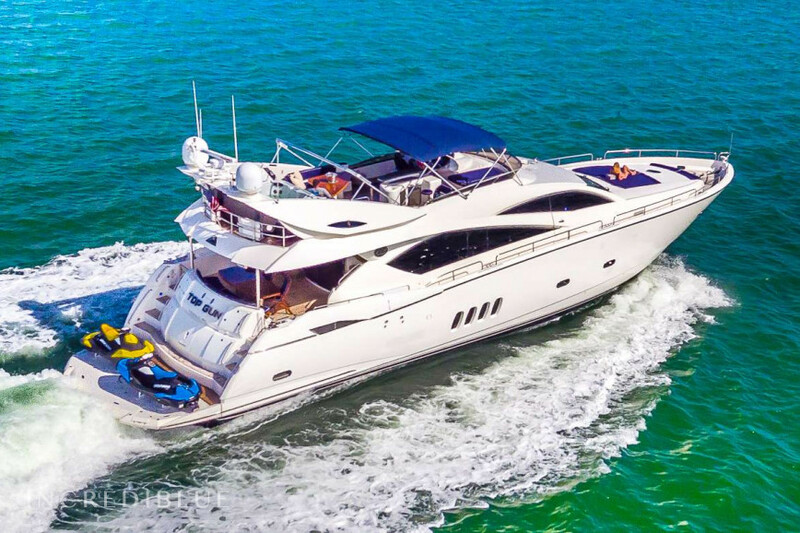 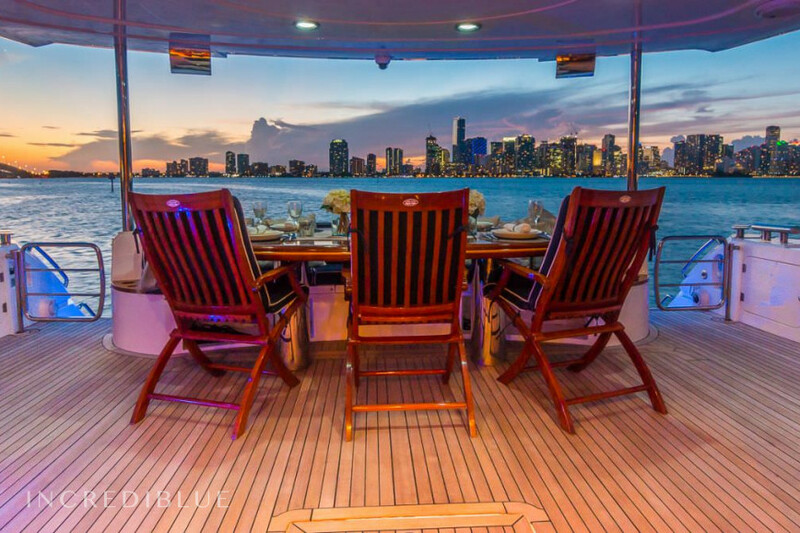 Available for daily or weekly charters in Florida and The Bahamas, the sporty yacht and her three crew invite you to be entertained in style.